After having been off of sea for waaay too long, we had 3 trips out on Dream Catcher Today. 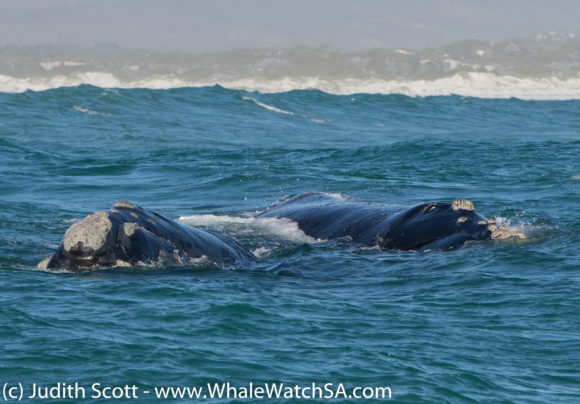 The first trip managed the Marine Big 5 with the second trip also being lucky enough to catch a glimpse of all 5 of these amazing creatures. 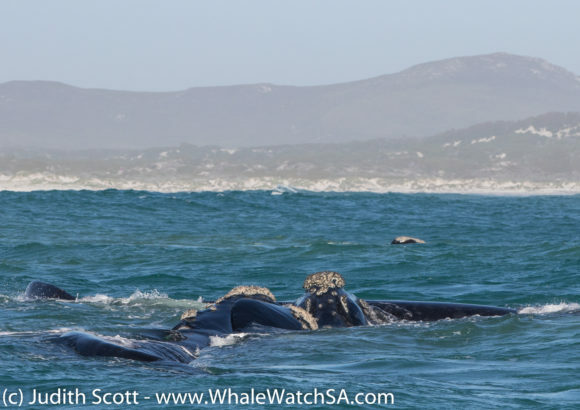 Although the last trip of the day skimped on the dolphins, our Southern Right Whale encounters were absolutely amazing, which more than made up for it. 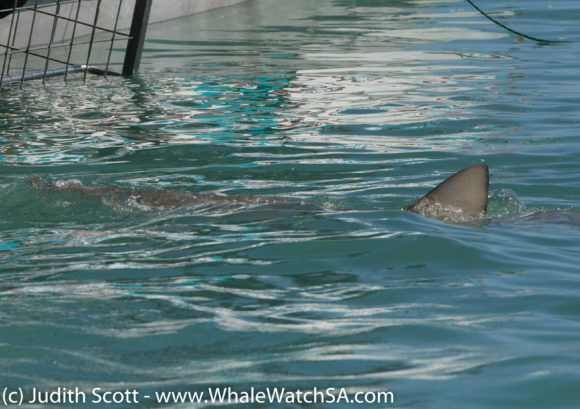 The first trip of the day started off at the shark cage diving boats, where they found a Great White Shark swimming between the vessels. 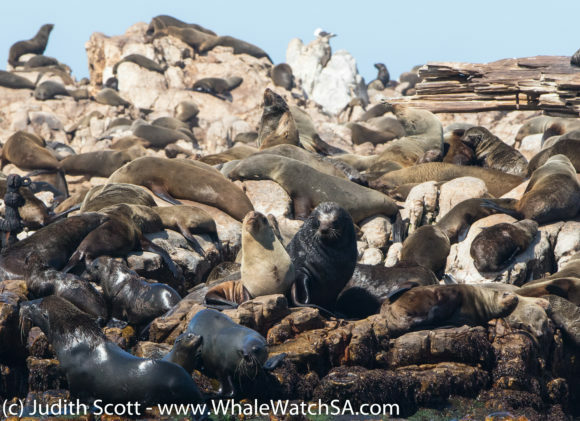 Often, people assume that these apex predators are residents in the area when, in fact, many are just moving through, coming up to the boats due to curiosity. 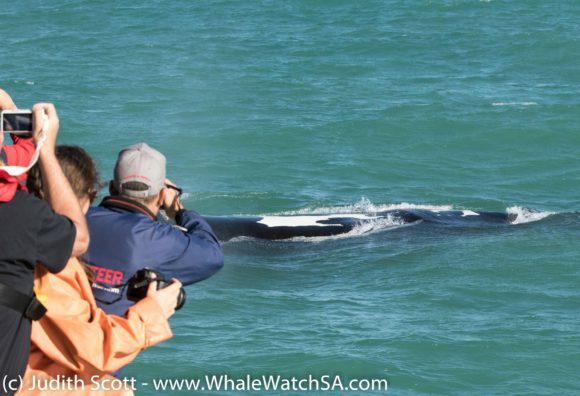 It’s not uncommon for us to find them moving from vessel to vessel, checking out all potential options before disappearing to the depths again. 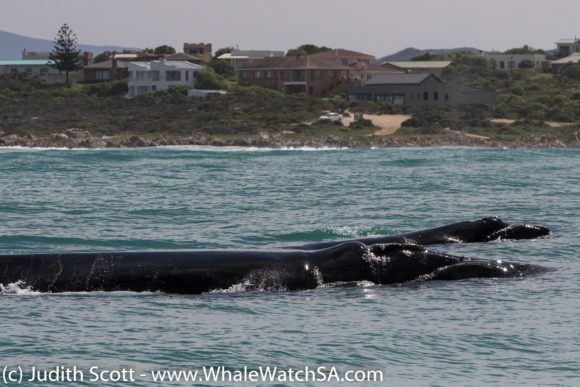 We found Southern Right Whales in Pearly Beach next, followed by some Bottlenose Dolphins. This is a species that we somewhat infrequently, as they usually only move into the area when we’ve got quite a bit of fish around. Amazingly these echo locators are known to eat up to 70 different spcies of prey. 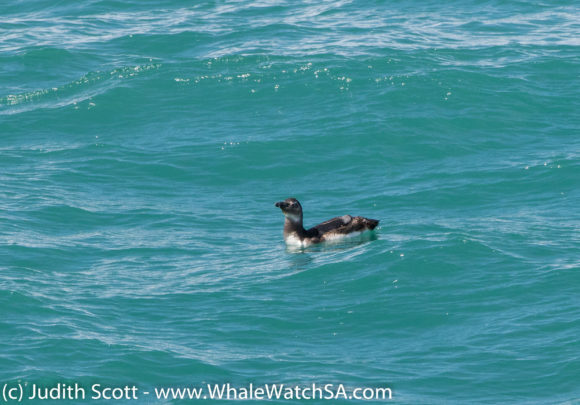 We stopped at the Islands after this, ticking off the Cape Fur Seals and African Penguins to complete the big 5 before heading back to the harbour, spotting a Sunfish en route. On our second trip, we followed the same route, cruising through the shallows before coming to a halt at Slashfin. At first, the chances of spotting a shark seemed a little bleak but, after only a few minutes, we spotted a black shadow heading up the chum slick. 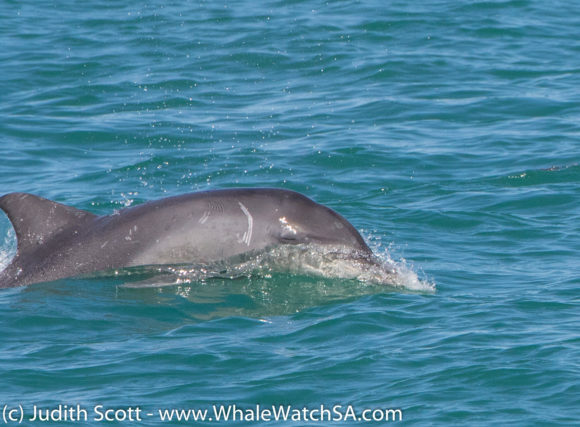 This was a pretty small individual, which we estimated to be around 2m in length. After this, moved over The Clyde and found the Bottlenose Dolphins again. 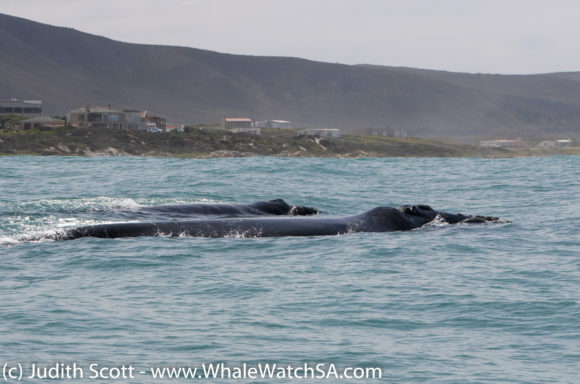 Although they are known to travel in large pods, we can also find only a few individuals at a time and this is perfectly normal too. 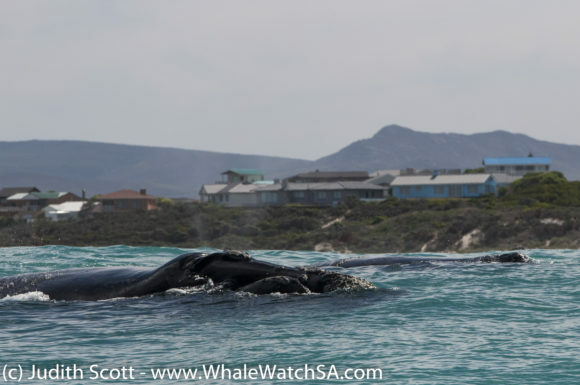 We moved over into the shallow waters of Pearly to find some whales next, and we were lucky to find them quite quickly. 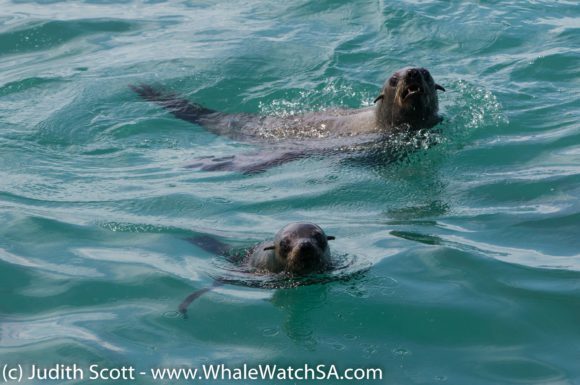 We watched the whales come up for several wonderful minutes before a quick Seal stop. 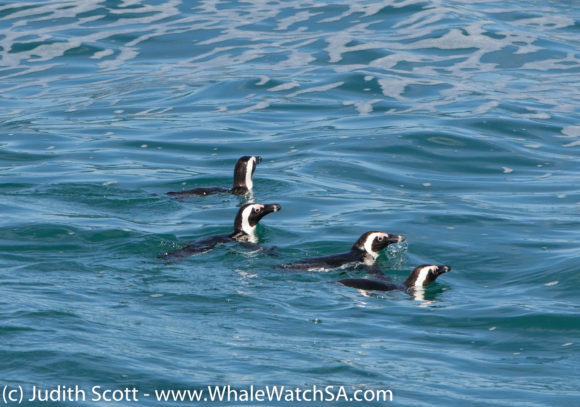 We then spotted a couple of Africans Penguins in the water before returning to port. 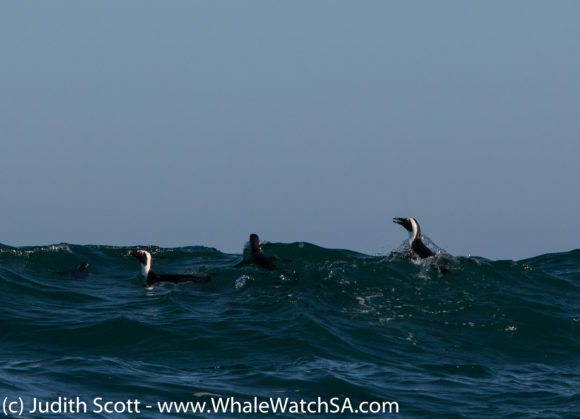 The last trip really had spectacular whales, with some awesome approaches, spy hopping, pectoral flipper slapping and even a breaching calf in the distance, we stuck around for the full 20 minutes, moving from mating group to mating group and enjoying natures full splendour. 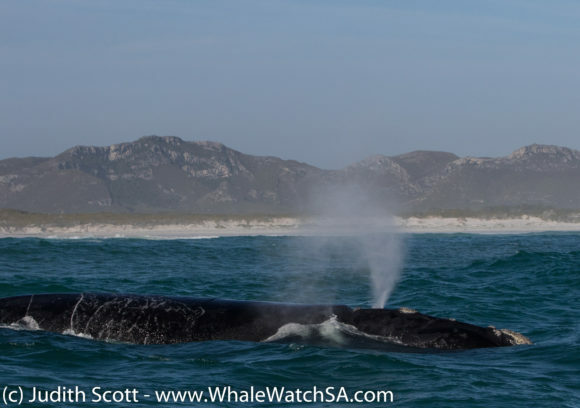 The pectoral flipper flapping is always an absolutely spectacular sight, with 2 tonnes worth of whale crashing against the ocean. 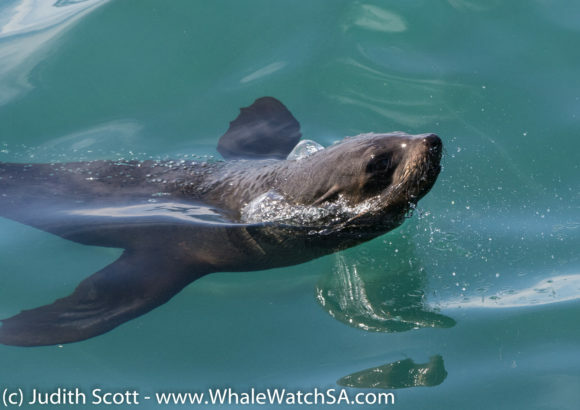 We also got to see Bronze Whaler Sharks, a lovely few rafts of African Penguins and our Cape Fur Seal Colony on this lazy Thursday afternoon tour.